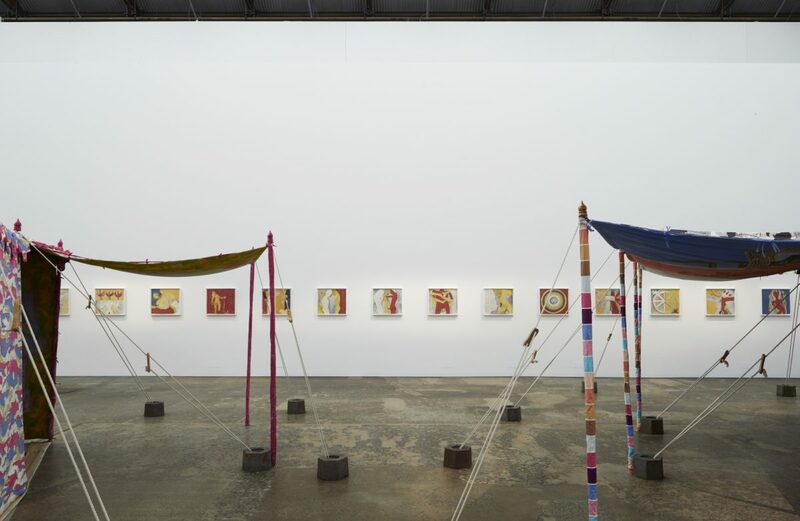 Encampment was Francesco Clemente’s first major solo exhibition in Australia. 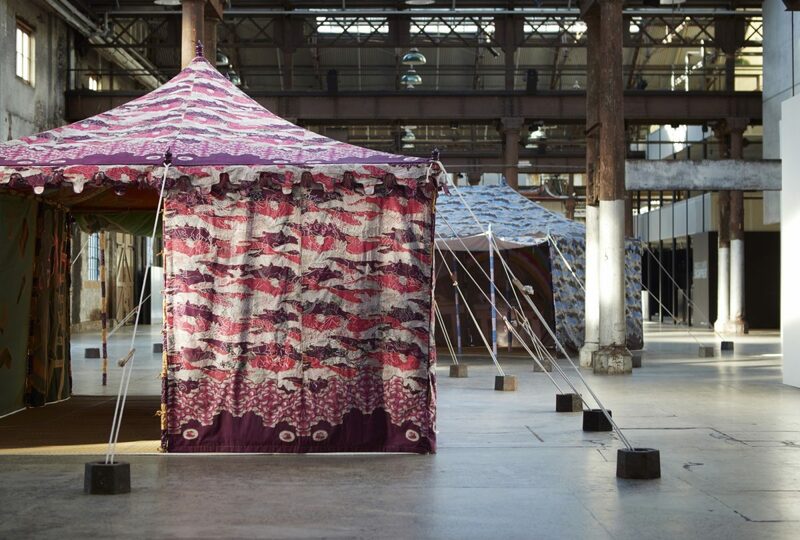 It included six of Clemente’s celebrated large-scale tent installations and transformed the 30,000 square feet Carriageworks space into an opulent tented village. Created over a period of three years, the tents feature intricate patterns, emblematic imagery and vividly painted figures, both real and allegorical. 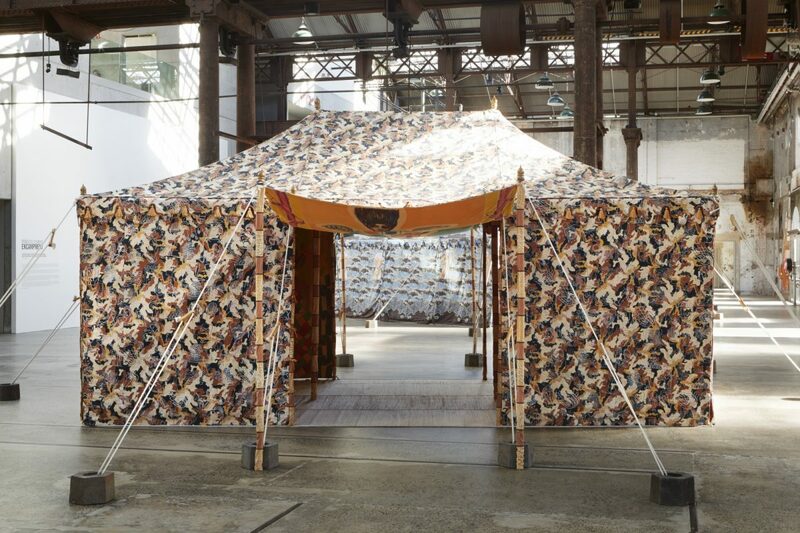 Every aspect of the tents are painted in intricate detail; Clemente hand painted the interiors in tempera, with embroidery and wood block elements applied to the exteriors by Rajasthani artisans. 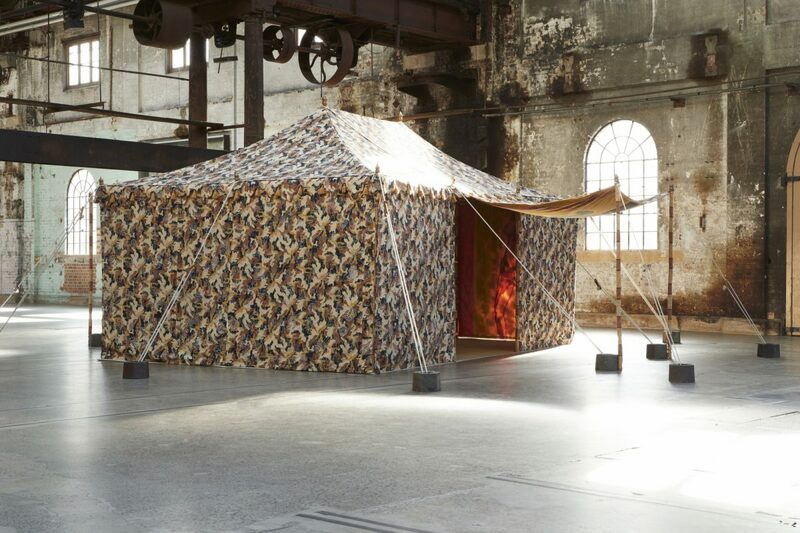 First seen at Blain|Southern Berlin, the tents travelled to MASS MoCA before arriving in Australia; echoing Clemente’s transitory experience of changing geographies and diverse cultural climates.